and a higher circulation plaza. The transition between the two levels is through a pedestrian lane shaping a natural amphitheater and event seating area. 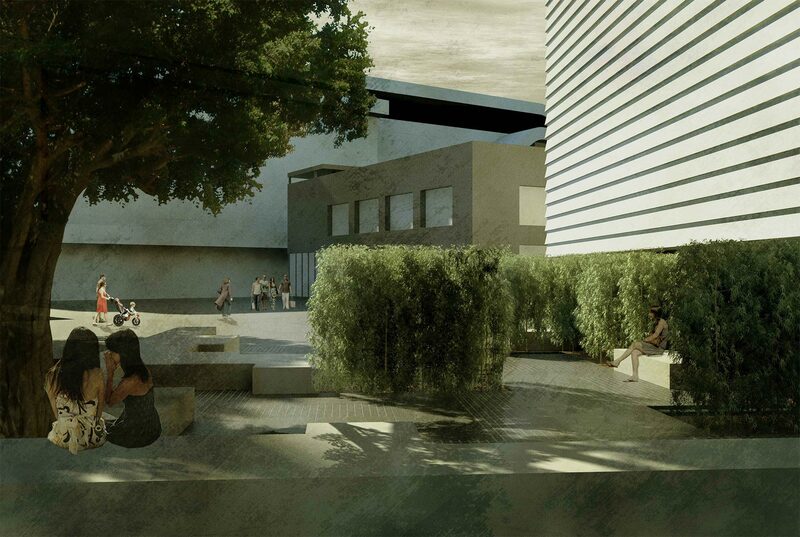 The competition winning design for the square is under review following revised designs of adjacent buildings.